Climate change continues to impact the environment in measurable and perceivable ways, yet politically this problem remains difficult to solve. "Losing Earth," the Pulitzer Center-supported reporting that took over an entire issue of The New York Times Magazine, highlights how the narratives and arguments around climate change took shape over the past several decades and got us to the political impasse we face today. 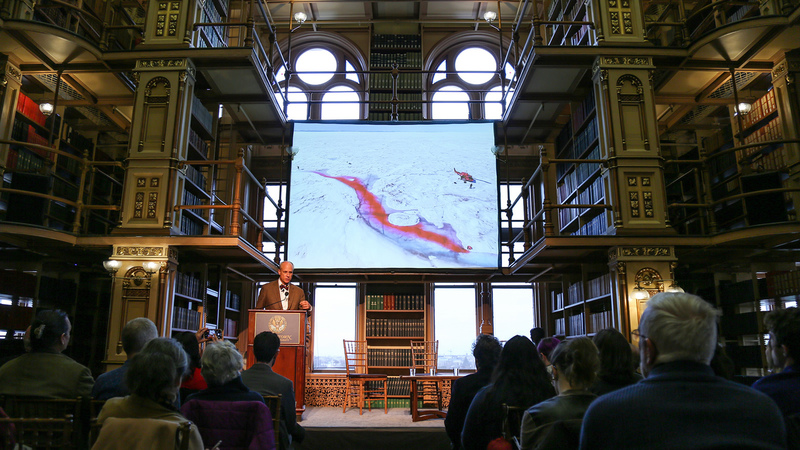 Photographer George Steinmetz, who contributed stunning aerial photography to the "Losing Earth" project, came to Georgetown to share his work and project insights. Steinmetz's photographs reveal some of the damage already done to our planet, but also remind us of what remains at stake and why communities must take action. 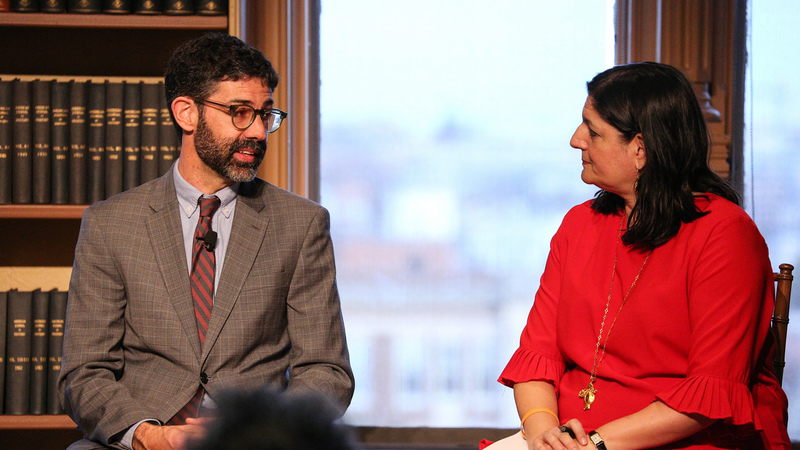 Joining him were American University Professor Evan Berry, whose research focuses on such community action, specifically in regard to the ways in which religious ideas and organizations are mobilized in response to climate change and other global environmental challenges. 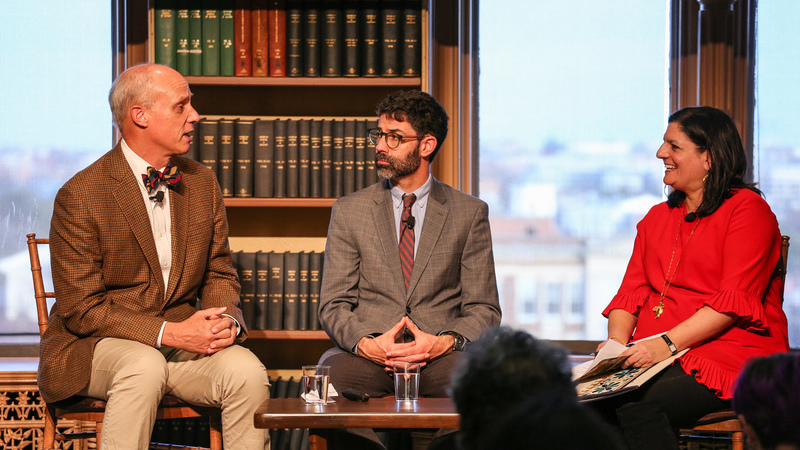 The photography by Steinmetz and Berry's scholarly work was featured in a conversation moderated by Pulitzer Center Executive Editor Indira Lakshmanan. 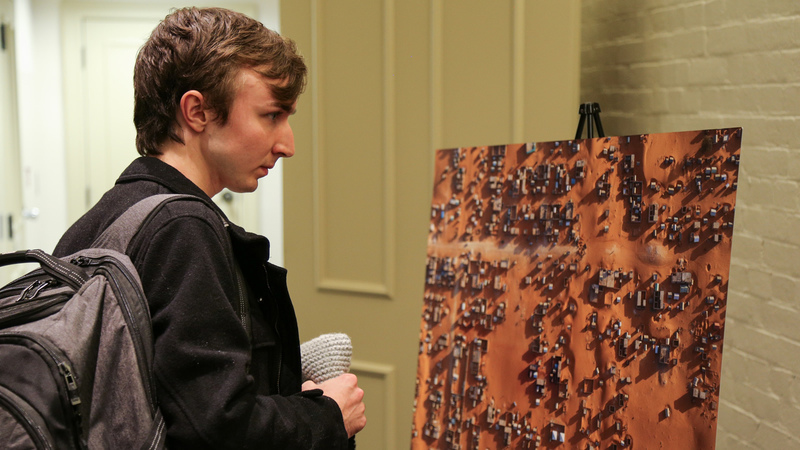 A reception, featuring prints of Steinmetz's aerial photography, followed the event. This event was co-sponsored by the Berkley Center for Religion, Peace, and World Affairs and the Pulitzer Center on Crisis Reporting.